This violet from arctic to sub-arctic climates is only 2-10 cm high with flowers of less than 1 cm. Its cold northern inland range, dwarf size and the position of the bracteoles near the top of the peduncle distinguish this species from V. palustris. Fine, elongated, white rhizomes produce roots from internodes and nodes, the latter with obvious, old persistent brown stipules. From the growing tip of the creeping rhizome one or two leaves are produced, each with two small green or pink stipules, and one or two two very small pink-purple, or rarely whitish, flowers. Bracteoles are near the top of the peduncle. The top two petals are reflexed, the lateral petals curve downwards and are sparsely bearded with very fine straight hairs, and the lowest petal is concave, the lower 3 petals with darker purple guidelines. The head of the stigma protrudes into a beak with a wide stigmatic opening. The petal spur is 1.5 mm long, 2-3 times as long as calycine appendages. Sepals and appendages are glabrous, 0.4 cm long, sepals oblong, blunt, with very short appendages. Glabrous petioles are narrowly winged on upper half. The thin cordate leaves are distinctly pointed, glabrous on the top surface, while the lower surface is either glabrous or has some fine hairs on the lower veins; leaf margins are shallowly toothed. Leaves are 0.8-2.5 cm long at the time of flowering, May (Fairbanks, AK)–July (northern Yukon). 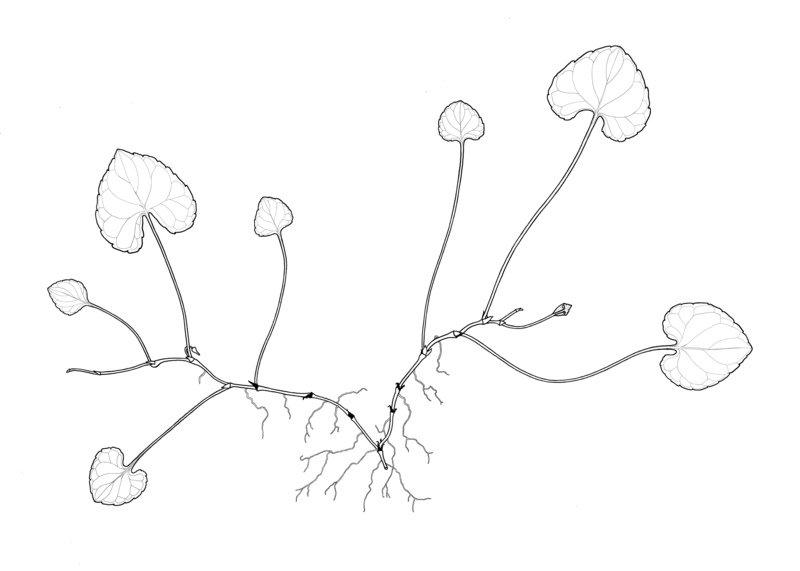 After flowering, long leafy runners grow 10-15 cm long, bearing closed flower pods from the axils of the leaves. Where temperatures are warmer in more southern locations, summer plants can grow to a height of 10-12 cm in fruit with leaves to 5.5 cm long. Seed pods are oblong, green, glabrous, 6-9m long. Seeds mottled dark gray-olive green, 1.8-2.0 mm long. 2n=4x=24. It is found in moist to wet marshes, meadows, lake and stream banks in the subalpine and alpine zones to at least 1800 m (6000 ft). On the northern slope of the Yukon Territory it was growing through the peat moss and lichens of the tundra underlain by permafrost, in wide open valleys where the coldest Canadian winter temperatures occur. V. epipsila subsp. 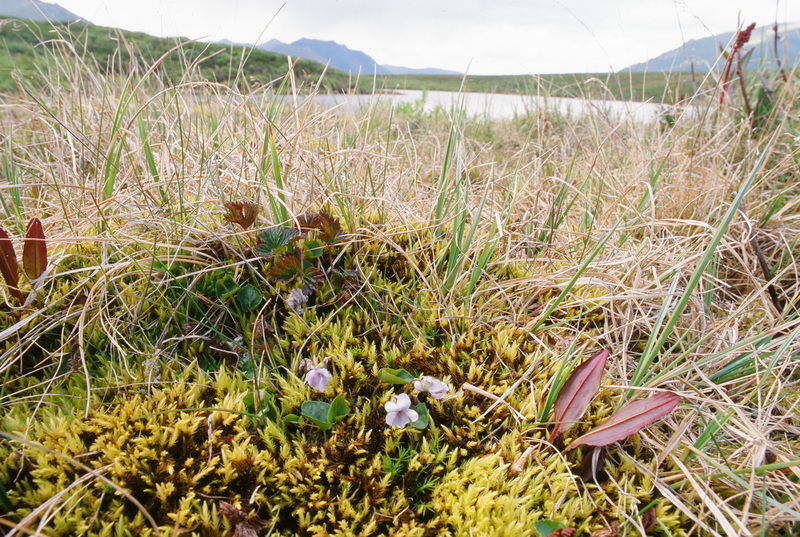 repens spread from Siberia and the Far East across the Bering land bridge to North America during the last Ice Age. Its range has extended through the Aleutian Islands, Alaska, the Yukon Territory and central Canada, probably east to Hudson Bay and south into northern British Columbia, Michigan, Wisconsin and western Ontario. It is in great profusion throughout Alaska, and is locally frequent in northern British Columbia. 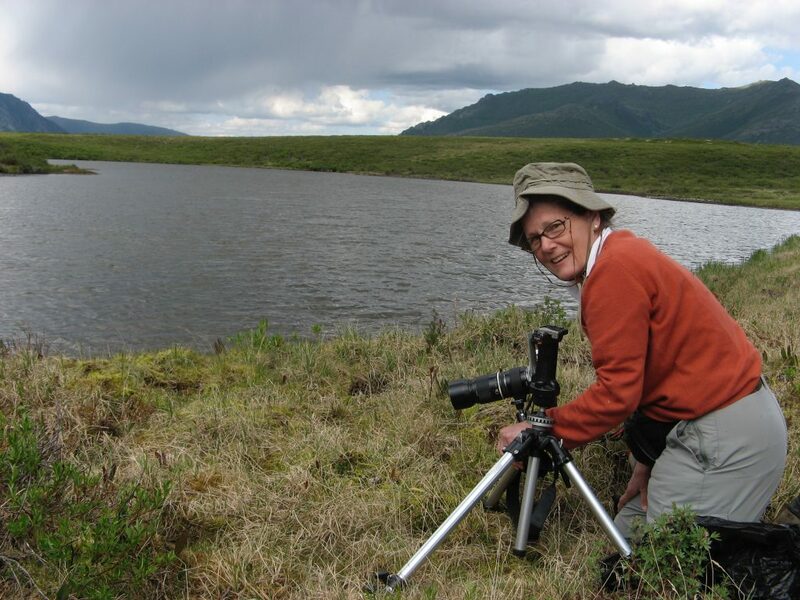 Kim, Tombstone Territorial Park, Yukon Territory. July 2009. 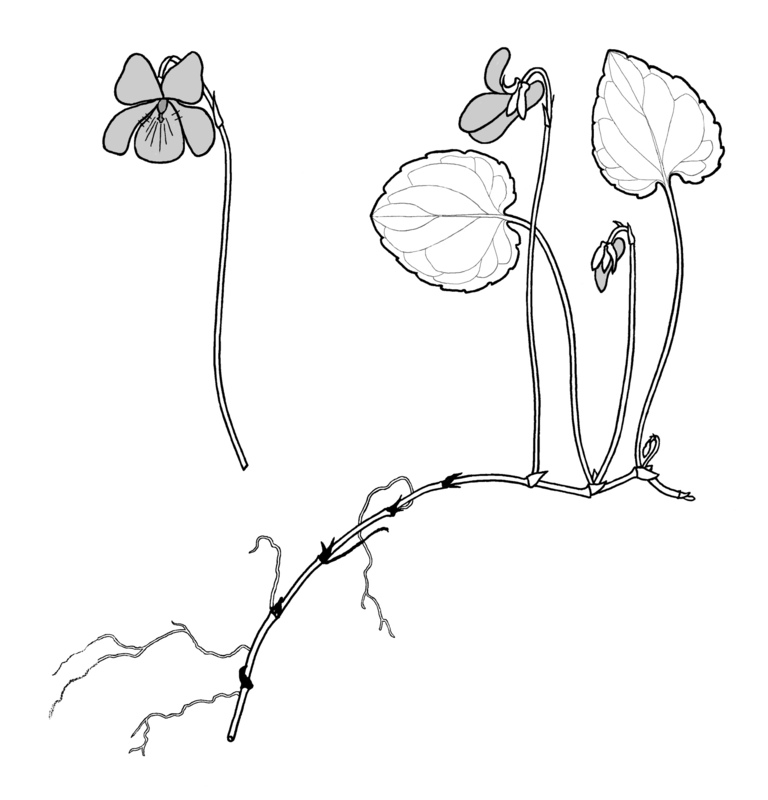 Nomenclature and taxonomy: Viola epipsila subsp. repens. W. Becker in Beih. Bot. Centralbl., sect. 2, 34: 406. 1917. This plant was first named in 1838 as “Viola repens” by its discoverer Turczaninow. The name was not validly published as it was not accompanied by any description or diagnosis. The necessary description was supplemented 18 years later by Trautvetter & C.A. Meyer in their Flora of the Okhotsk region (Florula Ochotensis Phaenogama), referring to two specimens that Turczaninow had collected in the Transbaicalia region of eastern Siberia, from the Shilka River (1833) and from Krugloe (1834). However, as the name “V. repens” had already been used in 1822 by Schweinitz for a North American species, it is illegitimate, and therefore cannot be used for Turczaninow’s violet. Becker’s name V. epipsila subsp. repens also refers to one of the specimens collected by Turczaninow. This unhappy situation was recognized by the renowned botanical couple of Áskel and Doris Löve, who published a replacement name Viola epipsiloides for this violet (A. Löve & D. Löve in Bot. Not. 128(4): 516. 1976). Although the Löves noted that ‘It has frequently been wrongly identified with the Eurasiatic V. epipsila Ledeb. 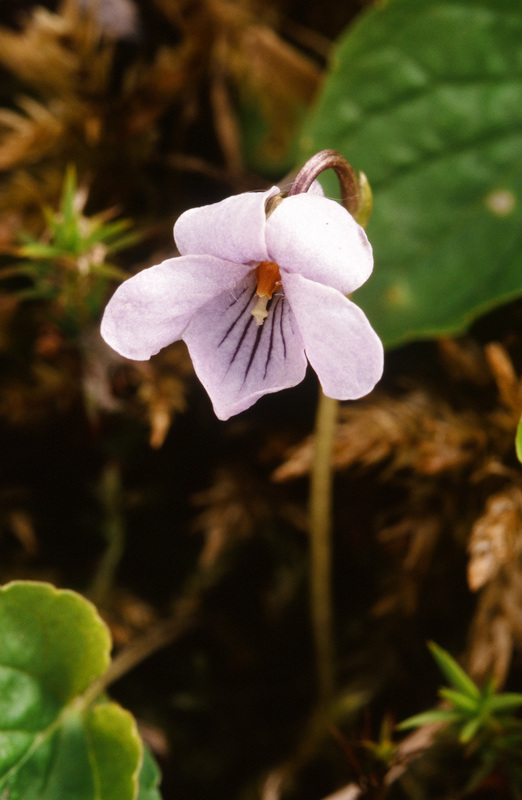 to which it does not seem to be even remotely related’, recent genetic DNA analyses by Marcussen (2010) of several specimens collected from Alaska and the Yukon Territory have shown that the opposite is true, that it is, in fact, very closely related to Viola epipsila. 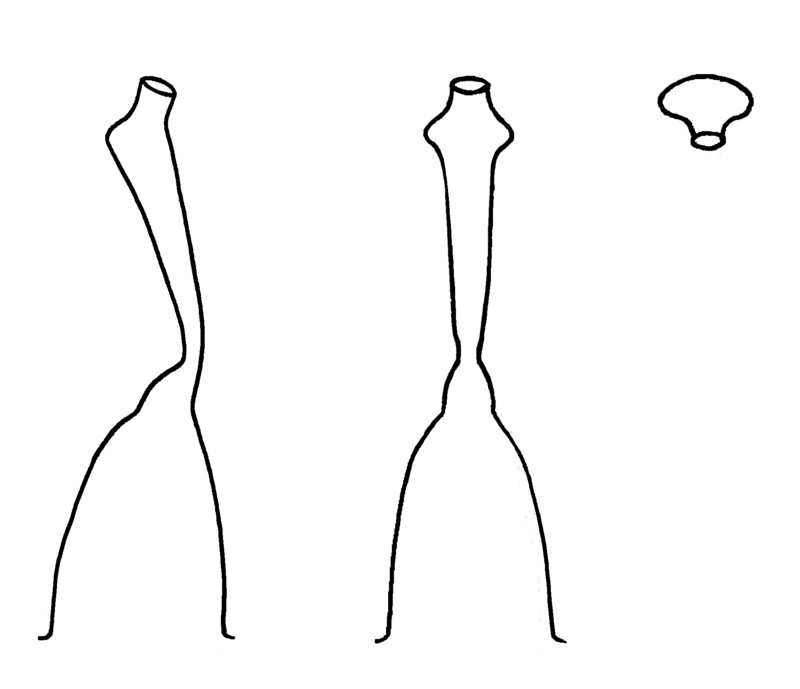 Key characters separating subsp. repens and subsp. epipsila hold true so that the subspecies rank is justified. The names V. epipsiloides and V. epipsila subsp. 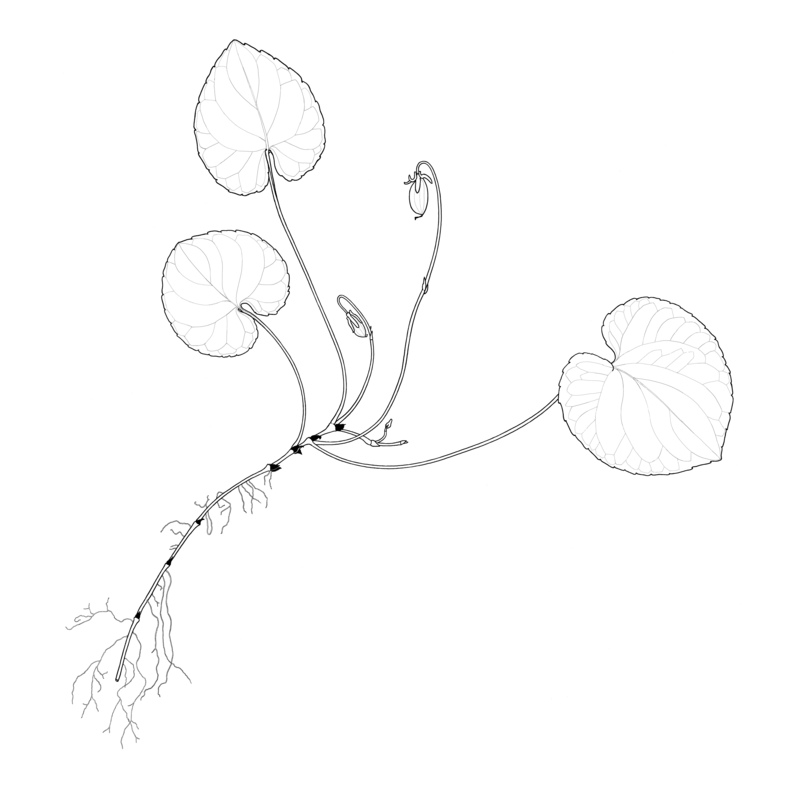 repens are based on the same herbarium specimens. Botanical opinion is divided on which of these two names should be used. 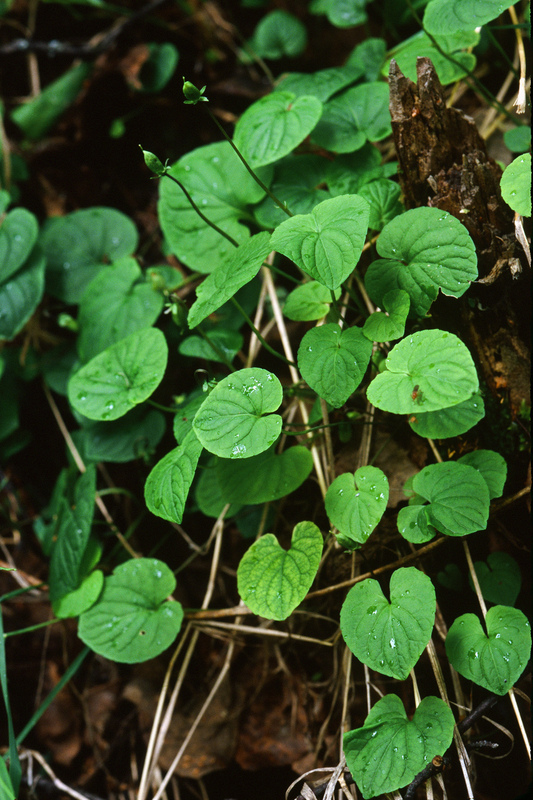 V. epipsiloides is used by those who would like to consider this plant as a separate species, especially taxonomists from Russia, China and Japan. 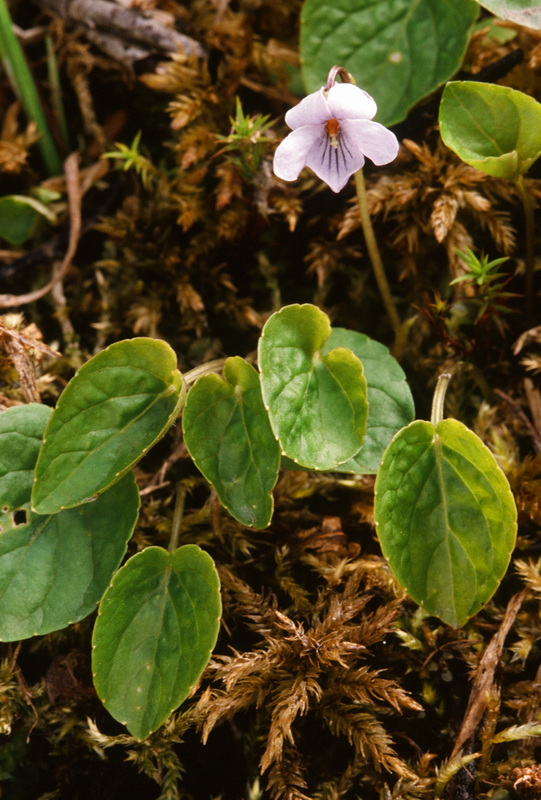 However, in Europe and North America, for those botanists wanting to emphasize its geographic vicariance and the relationship of Asian and North American plants to the European populations of V. epipsila, this violet continues to be classified as a subspecies of the latter, i.e., V. epipsila subsp. repens. 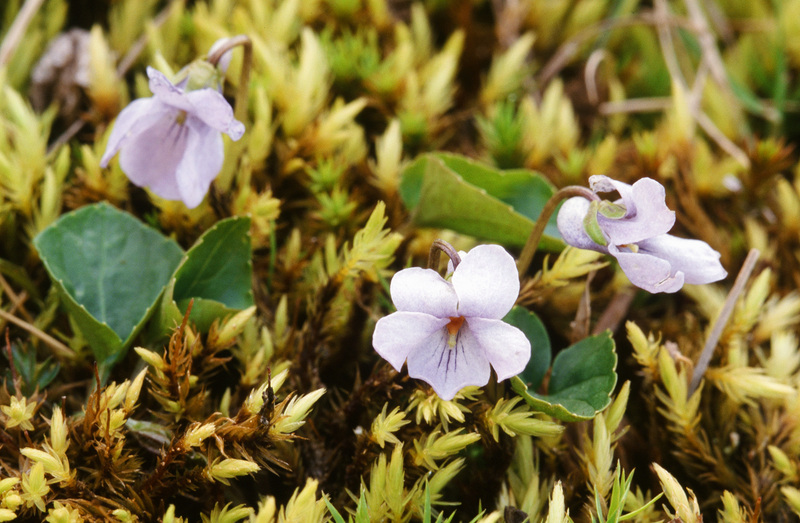 In 2010 Little published the rank of variety to replace subspecies: Viola epipsila var. repens (W.Becker) R.J. Little. I prefer to use the subspecies rank, for the reasons explained here. Becker’s original description said: ‘Planta in omnibus partibus minor; folia subtus ±plus minus glabrescentia usque glaberrima’: plant in all parts smaller; young leaves may be slightly hairy on the lower surface but these hairs are gradually lost or nearly so, or they may be completely glabrous. For detailed guidance on nomenclature and taxonomy of this species I wish to thank both Dr. Jiří Danihelka and Dr. Kanchi Gandhi.